Esther 9 — The D-Day had finally arrived. The thirteenth day of the twelfth month – the day marked out for the destruction of the Jews. What would happen? Who would triumph? Would this be a day of death or a day of deliverance for God’s people? Esther 8 — Haman was now dead but the decree to destroy the Jews still stood. How could an irrevocable decree be reversed? What would happen? Who would stand up? How would God work? And what can we learn? These questions are answered as Pastor Brendan continues our study. Esther 6 — In the unfolding story of Esther, this chapter contains a series of events that highlight the sovereign hand of God in protecting His people. Haman is unexpectedly humbled and Mordecai is surprisingly exalted. Listen as Brendan takes us through the chapter, bringing us some wonderful words of encouragement along the way. 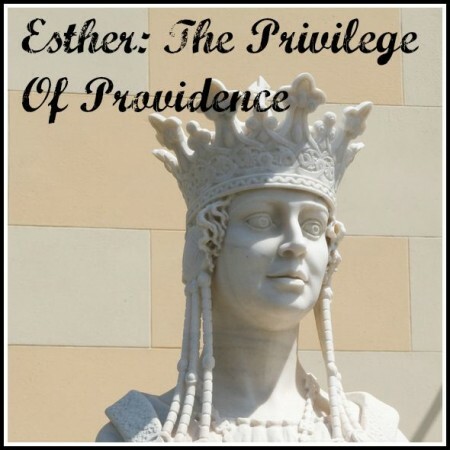 Esther 4 — What am I born for? …This question is answered for Esther in this chapter which really is the turning point in the story. Brendan explains this part of narrative focusing on the providence of God and he leads us to think about this question for ourselves. Esther 3:7-15 — Haman, having devised a plan to exterminate the Jews, only had one hurdle to jump over in order to make his plan a reality and that was winning the King’s approval. In this study, Brendan takes us through Haman’s manipulative and persuasive pitch to King Xerxes. Esther 2:13-18 — In these verses we find the culmination of the King Xerxes’ plan for choosing a new queen. It was a cruel and immoral plan and yet God used it to place just the right person, in just the right position to save His people.